Now Offering this Gorgeous Two-Story Home just off of glorious Bayshore Blvd! This majestic two-story home is tucked away from the street in a delightful, landscaped park like setting with only a short walk over to the Ballast Point Pier, trendy new restaurants and the Tampa Yacht Club!!! The meticulously maintained home boasts 3 bedrooms, 3 full baths, and a two-car garage. Large eat-in kitchen includes a newer stainless steel energy efficient package and updated sandstone/porcelain tile elegantly installed on a diagonal throughout the spotless kitchen and bathrooms. A lovely first floor bedroom for guests! 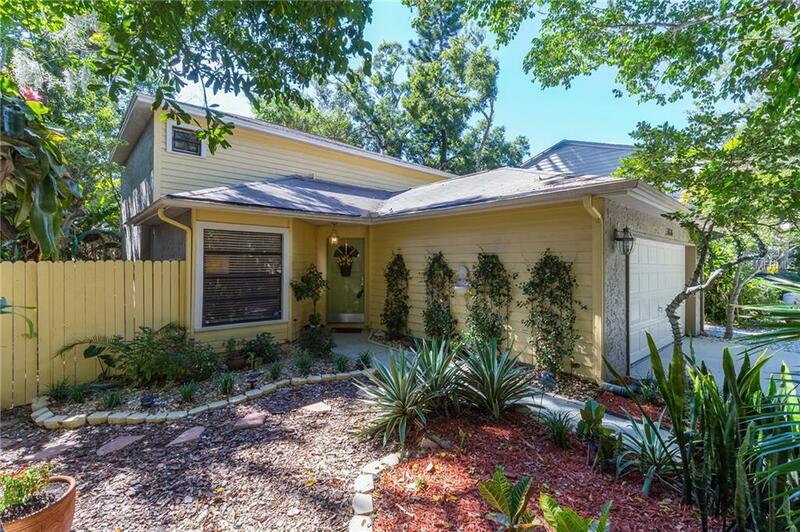 Open airy and bright living/family room space boasts a wood burning fireplace, separate sitting and dining areas--and two giant sliders that draw your eye to your landscaped backyard deck/lanai in a tropical oasis setting in the heart of a big city!! Including a separate doggy walk for your favorite fur child!!! This home is exceptional and awaits a happy new homeowner! Call today for a tour!